Advanced LED lights had success with its flagship Diamond Series LED grow lights and is moving forward with the new XTE series. Advanced LED has hundreds of hours of research and development that have gone into the development of the LED grow lights that they offer. This is a significant benefit for indoor growers wanting to acquire an LED grow light that grows plants effectively and efficiently. Advanced LED Lights offers the new XTE grow light series and acknowledges that these grow lights not only outperform many other LED grow light contenders, but outperform even the original Diamond Series. The new XTE series of grow lights integrate True USA 5w Cree XT-E LEDs. CREE – Cree is known as a market leading innovator of lighting products and LED components. Cree technology is designed to be more energy efficient and friendlier to the environment than traditional technologies. 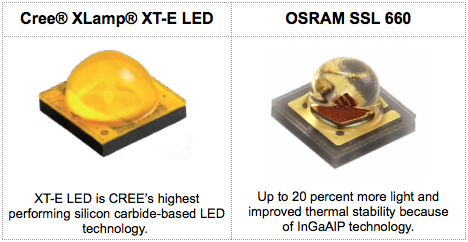 Cree has been working on developing its LED technology since 1989 and now has over a quarter century of product development under its belt. 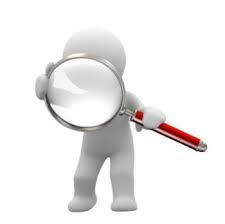 In the last several years, Cree offered LED light bulbs that are 40 watt or 60 watt equivalents. Cree continues to expand and develop technology associated with its LED light bulb technology and the XTE Series LED grow lights benefit from the incorporation of Cree technology. The 5w CREE XT-E LEDs are high output and each run at 3.9 watts each (which is 2x higher than other 5w LEDs for those keeping score). Along with the 5w Cree LEDs, the XTE series allows the user to have spectrum control. New features are integrated into the XTE grow lights to give the indoor grower more power and more control. You won’t find the same features in the competition. High Flux 5w LEDs record 113 percent higher PAR/Watt than a 600w HPS according to Advanced LED Lights testing. High Flux 5w LEDs record 79 percent higher PAR/Watt than competing 5w LED grow lights according to Advanced LED Light testing. High Flux 5w LEDs record 36 percent higher PAR/Watt than the California Lightworks 200 grow light according to Advanced LED Light testing. High Flux 5w LEDs record 28 percent higher PAR/Watt than the King L600 according to Advanced LED Light testing. Premium 5w LEDs available from Cree – 79% higher PAR than other 5w grow lights. The XTE optics are optimized by taking the Diamond Series Optic built-in reflector. Spectrum Controls allow the indoor grower to have more power over the grow. The XTE series of grow lights gives the grower 100 percent control over the spectrum and intensity of light emitted by the grow light unit. The XTE 200 emits the type of light that research shows is most effective and efficient for growing plants. Blue and Red wavelengths are most vital and as one can see from the spectrograph reading on the right, the XTE 200 LED grow light has the right “light recipe” to optimize plant growth. The DS XTE 200 LED grow light does come with a warranty that covers the product for 3 years. Advanced LED Lights offers the DS XTE 200 grow light that comes with the three year warranty as well as a 90 day money back satisfaction guarantee. The offer is relatively comprehensive. 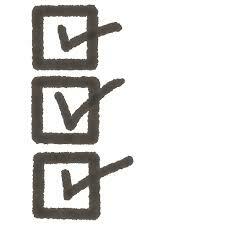 The three year warranty is a full replacement warranty. Advanced LED lights are under warranty against defects in materials and workmanship to the original owners from the initial date of purchase. 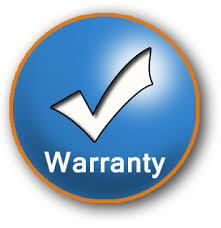 The warranty plan offers same day service as well as free shipping for all warranty issues. 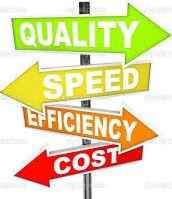 The return and warranty plans are comprehensive and should be viewed as a positive benefit that not all LED grow light companies offer. Advanced LED Lights offers quality LED technology at reasonable prices. They have been in the business of selling LED grow light technology for over six years and are located in the U.S. 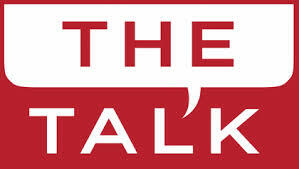 The company has sold to thousands of customers around the world and they have a solid warranty and money back guarantee plan. With the XTE grow lights, an indoor grower can get maximum yield without heat issues, high electricity costs and bug problems that you get with other HID/HPS lights. XTE grow light unit can support both vegetative and flowering stages of plant growth. 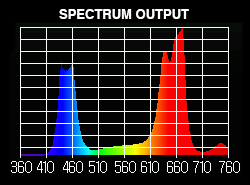 CREE technology integrated to emit intense light that is proportionally strong in the red and blue wavelengths. The red and blue wavelengths are specifically selected to align with the photosynthetic active radiation range which research shows best supports plant development and growth. 5W LEDs run at 3.9W which is highest in their class. Unit comes with a comprehensive 3 year warranty as well as a 90 day risk free trial. Efficient design and efficient use of energy reduces the heat output and reduces the costs associated with cooling and venting a grow space. This model runs just under $600 which could be outside of the price range for some growers. Growers remark over and over again about the light intensity. Brightness is also mentioned routinely after turning the units on. Growers also notice benefits during the veg stage of growth. Faster growth and fuller, more dense growth is observed when running the XTE grow lights. In general, growers that have tried the lights report a positive experience and many state that they plan on purchasing more than one XTE series grow light! The object of this post is to provide a comprehensive review of the DS XTE 200 Series LED grow light. It may be the best LED grow light for your specific growing situation. 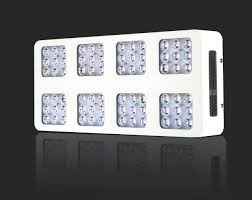 It is a very good LED grow light given the competition and the integrated CREE technology is a bonus. This light comes with other features, like specific controls, to help the grower gain more control over the grow. This is also a bonus in my book. A grower needs to have control over as many variables as possible to individualize the process. The DS XTE LED grow light gives growers this power which is why so many select the unit for indoor growing. My hope is that this post, along with the other pages on this site, can lead you to the best LED grow light so that you can grow big at home! Good Luck.